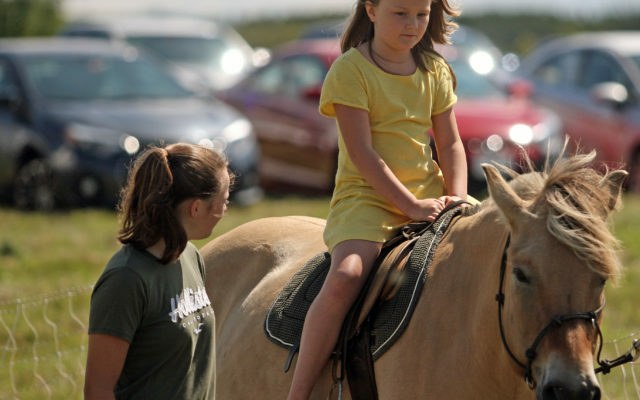 Yorks of Houlton once again hosted a free community event at its 315 North St. business where local children could play games, take pony rides and obtain free school supplies. HOULTON, Maine — Yorks of Houlton once again hosted a free community event at its 315 North St. business where local children could play games, take pony rides and obtain free school supplies. Several hundred youth filled the parking lot of the auto dealership Thursday, Aug. 23, to enjoy turns in bounce houses, play games for prizes and have a free lunch. The York family has put on the free family event for the past couple of years as a way to give back to the community.